Emerson College named Rev. Julie Avis Rogers as the director of religious and spiritual life and campus chaplain on Dec. 13 in an emailed announcement to the college community. Avis Rogers will begin her role on Feb. 3. Her arrival follows the former director Harrison Blum’s resignation on Sep. 21. Avis Rogers graduated with a theatre degree from Denison University in 2007 and has a master of divinity from Harvard Divinity School with a focus on campus ministry, liberation theologies, and pastoral care. Sharron Duffy, the assistant vice president for student affairs, said Avis Rogers gained an edge over the other four candidates who made campus visits because of her vision for the office and her positive energy. Since 2016, Avis Rogers worked at the Church of the Covenant in Boston as a minister and, prior to that, was a youth minister at the First Church in Cambridge. She served as a freshman academic advisor at Harvard University for nearly two years and as the director of education at Harvard University’s Memorial Church for over two years. Avis Rogers said a 2007 Central Mexico study abroad program sparked her interest in working with college students. “I saw how, when students are taken so far out of their comfort zones and really needed to look at their own identity … there was so much spiritual depth that emerged from those international and intercultural experiences,” Avis Rogers said in an interview with the Beacon. Duffy said the search for a new spiritual life director was not a search for a “new Harrison,” the former director. “One of the things I told the search committee is, ‘We cannot call this position the ‘new Harrison’ because that would be unfair to anyone coming into the role,” Duffy said. Duffy said that, while she hopes Avis Rogers will relaunch spiritual life programs like the Mindfulness program and the Unwind Retreat, she is open to recommendations from Avis Rogers. The Mindfulness program included group meditation sessions; guided online meditations; and an eight-week, in-depth program under Blum’s leadership. The Unwind Retreat provided an overnight experience encouraging Emerson students to reflect on faith traditions and spiritual practices. Both the Mindfulness program and the Unwind Retreat were put on hold until a new director could be identified, Duffy said. Duffy said she expects to establish a date for the Unwind Retreat shortly after Avis Rogers begins and hopes to see the Mindfulness program follow not far behind. “I’m really quite eager to learn and understand what recommendations she has about the needs of the Emerson community,” Duffy said. Avis Rogers said the Emerson community made her feel comfortable from the first instance she set foot on campus for the director-selection process in November. Avis Rogers also spoke about a lunch she had with a group of students when she visited the college. 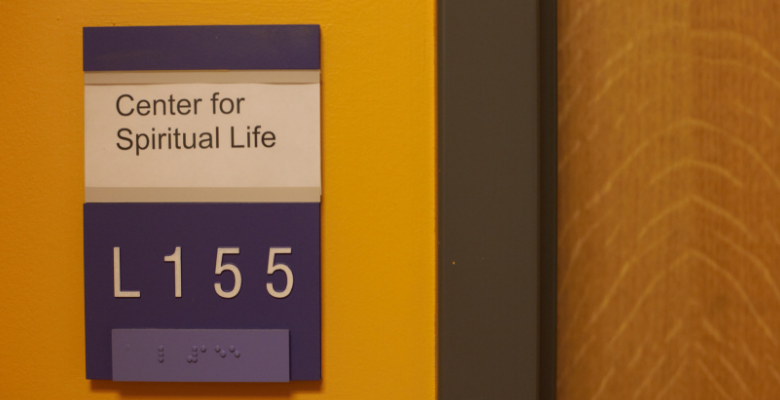 She noted the diversity of their interests and spiritual backgrounds and said some students were very involved with the office of spiritual life while others had never visited. “They were all so honest about what they loved about the Emerson experience and what they find challenging,” Avis Rogers said.